THE National Railways of Zimbabwe Contributory Pension Fund has taken one of its Bulawayo tenants, Small and Medium Enterprises Association of Zimbabwe, to court over $13 000 rental arrears. 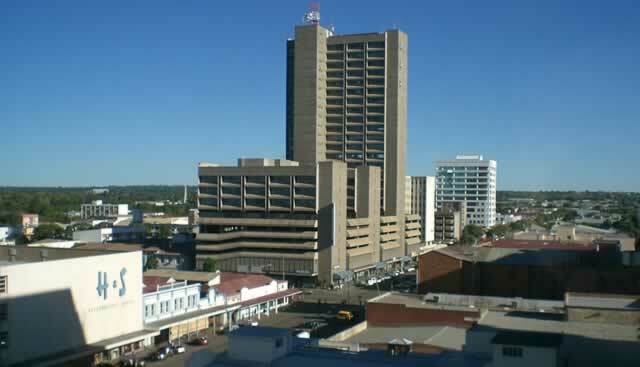 NRZ Pension Fund in summons filed at the Bulawayo High Court on June 7 cited the SMEs Association and its executives Farai Clement Mutambanegwe and Patrick Munyaradzi as respondents. "The plaintiff's claim is for the cancellation of the lease agreement entered into by the parties in October 19 20167," the summons read. "Ejectment of 1st defendant and all those who claim through it from Suite 215, 9th Avenue and Fort Street. Payment of the sum of $13 098, 28 by defendants jointly and severally one paying the other to be absolved. Payment of damages of $600 per month from June 1 2018 to date of full eviction." In its declaration, NRZ Pension fund submitted that Mutambanegwe and Munyaradzi were the co-principal debtors of the SMEs Association. "On October 19 2016 the parties entered into a lease agreement in terms of which the SMES association occupied Suite 215 along 9th avenue and Fort Street the property of plaintiff," the declaration read. "It was a term of the agreement that rentals would be $6 000 per month for a period extending November 1 2016 to October 31 2017 to be paid without deductions and payable in advance. For period extending from November 2017 to October 2018, the rentals were to be discussed between parties. The rentals have not been increased to date." The NRZ Pension Fund submitted that the parties further agreed that if plaintiff cancelled the lease agreement and defendants disputed the right to do so and defendant stayed in occupation, defendant should pay the hold over damages and that should plaintiff approach the court after any breach, defendants should pay costs of the suit on attorney and client scale. "In breach of the lease agreement the defendant has refused, failed and or neglected to pay rentals amounting to $13 098, 20 as at May 22, 2018," further read the declaration. The NRZ Pension Fund then prayed for the payment of the total sum stated. The defendants are yet to respond to the summons.